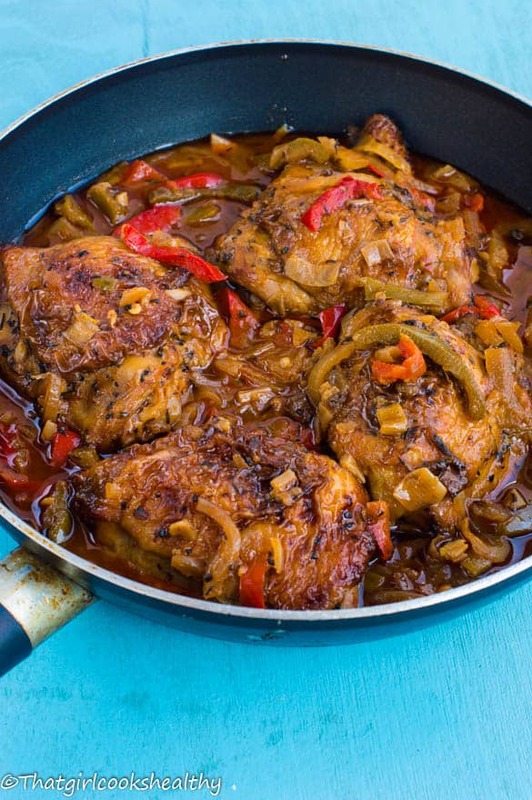 Eight Caribbean style freezer friendly meals that are going to blow your mind. 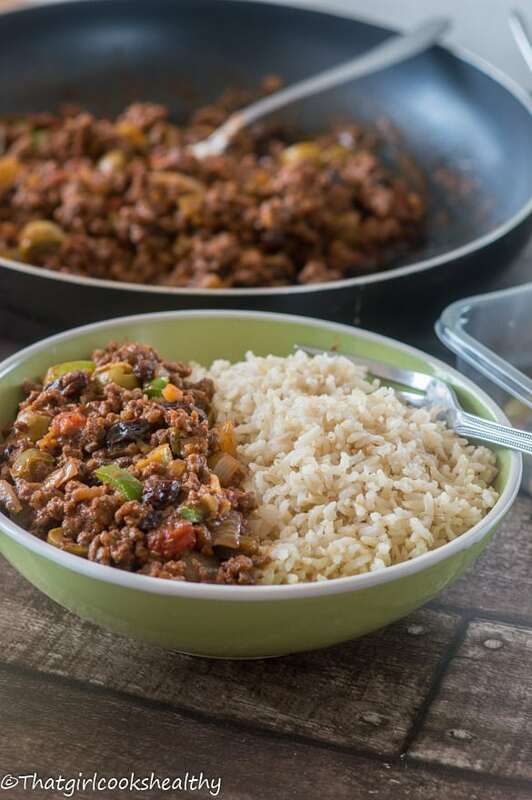 Whether you’re looking for meals that can be cooked in bulk and stored until further notice or if you’re simply curious to know which of my recipes are freezer friendly then I have the answer that you’ve been waiting for. What’s happening my lovely readers? Have you noticed anything different about this post? Yes, you have guessed it, this is not a new recipe but merely a round up of some of my greatest freezer friendly recipes. What prompted me to do a summary post was an email that I received this week from one of my lovely followers, who has asked if my roasted almond porridge was suitable for freezing. While I responded promptly to the email it became more apparent that there is a need to highlight my freezer friendly meals. Unless you enjoy cooking or work within a role that requires being in the kitchen, most people don’t like spending large amounts of time in the kitchen. We live in such a fast pace environment that we barely have the opportunity to sit down and eat as a family, let alone cook. While is it more convenient to buy take away or microwave meals, one cannot live a life on fast food – it’s expensive, unhealthy and not practical for longevity. That’s where my recipes will hopefully aid you in saving time and cutting down the costs of preparing wholesome meals. 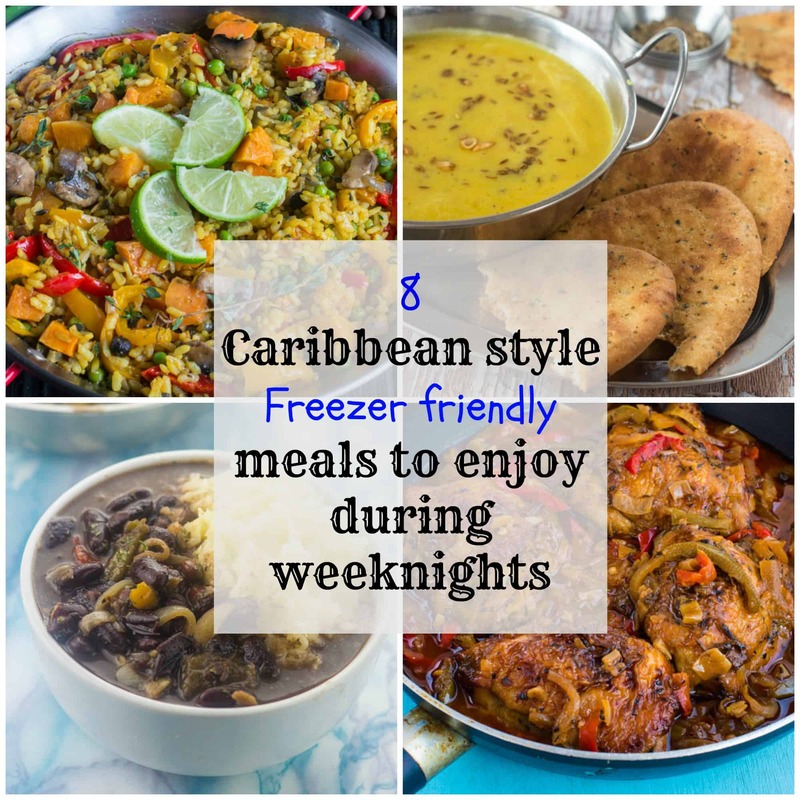 Freezer friendly meals are truly a lifesaver, imagine coming in from a long day at work and having to worry about what to cook for yourself or your family. The last thing you want to do is slave over the stove for hours, trying to whip up something tasty. On the contrary, a freezer meal is so handy and minimizes all of the work. All you need to do prepare the recipes in bulk (highly recommended), store them in freezer/microwave friendly containers, freeze, re-heat and eat…it’s that simple. So here are my eight essential freezer friendly recipes….Enjoy! 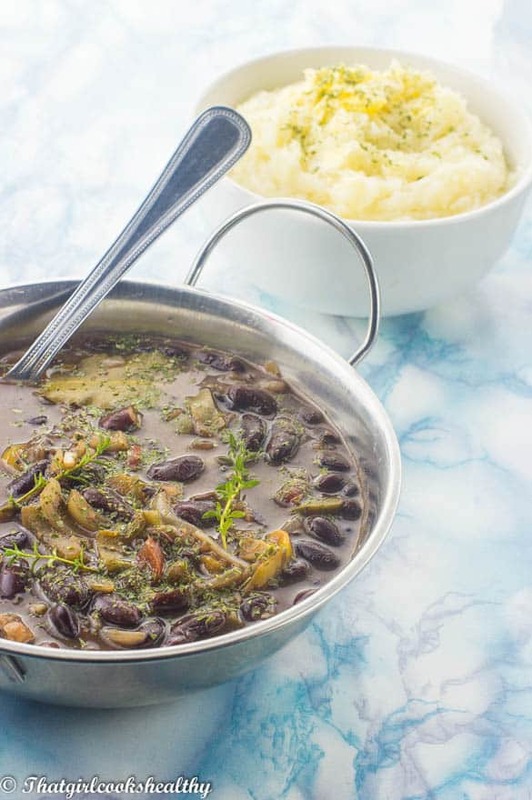 Stew beans with cassava mash – Caribbean people love stewing their food from meat right down to the beans (peas as we call them). That’s why you shouldn’t let this recipe escape you. Making a big batch of this will save on time and money especially if you’re using the dried beans which work out to be long lasting in quantity and more cost effective. 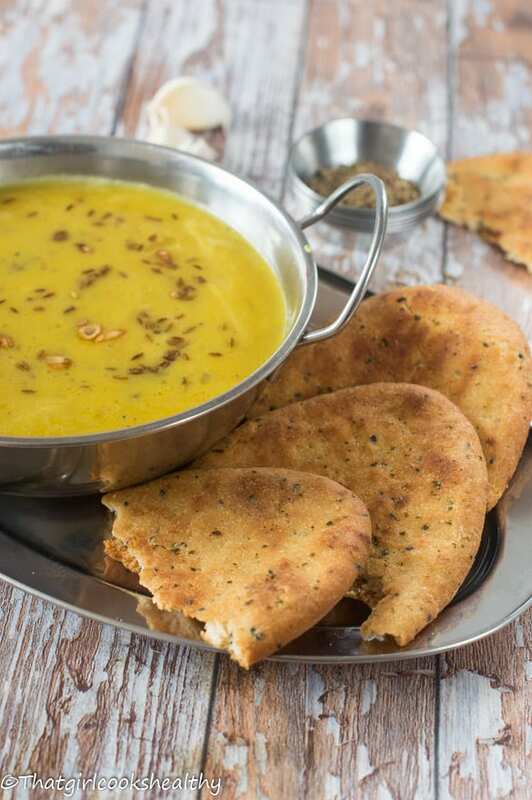 Trinidadian Dhal – Tired to solid food for dinner? No problem dhal is a great alternative, it’s packed with so much flavour and makes great comfort food. 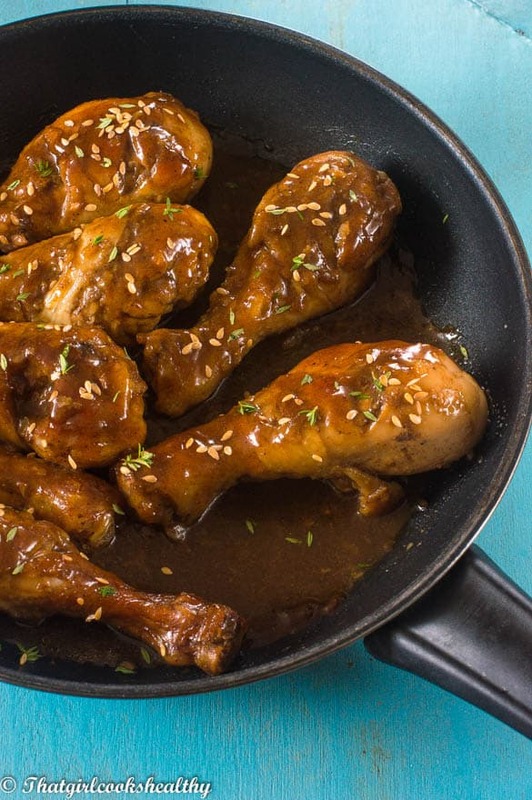 Make a big batch of this and store is freezer friendly pots and consume at your leisure. 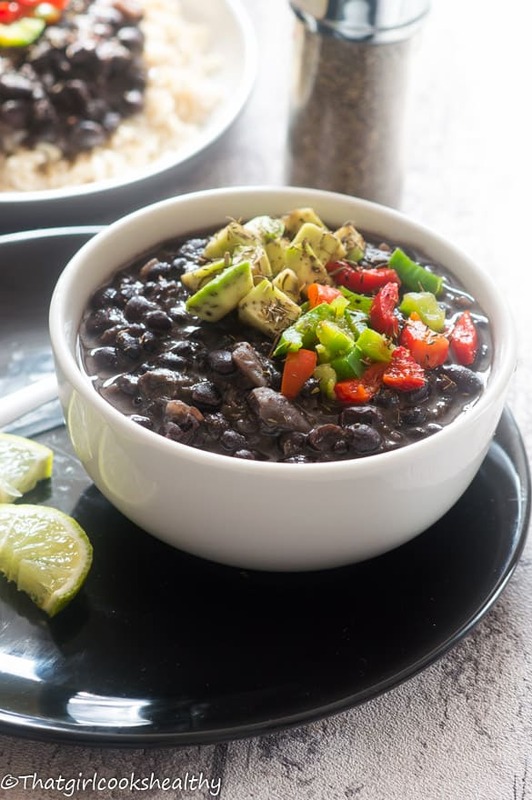 Cuban black beans – This bean loaded vegan dish is one of my favourite to freeze and eat during the week. Again make a big batch of this over the weekend, divide, freeze and eat at any given time. 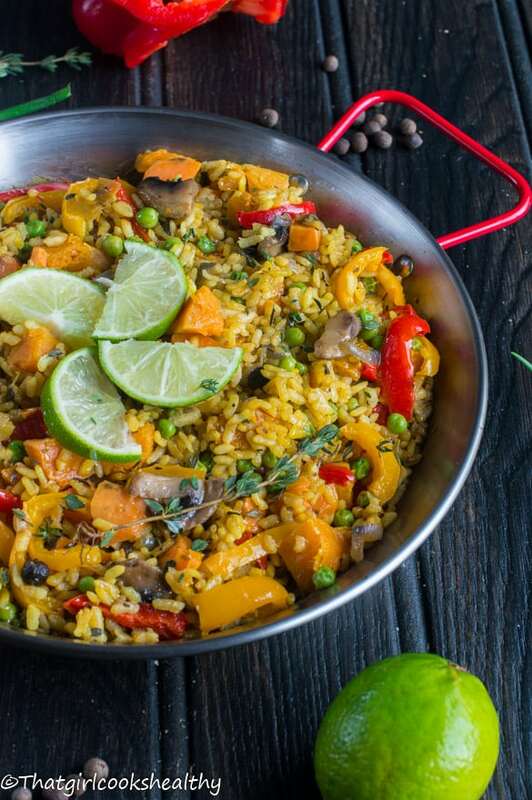 Caribbean paella – Want to try some paella with Caribbean flare? Then look no further then my Caribbean style paella. It’s a veganised dish too that I entered into a competition a few years ago. Bulk up. freeze and reheat this award winning Spanish inspired rice dish. 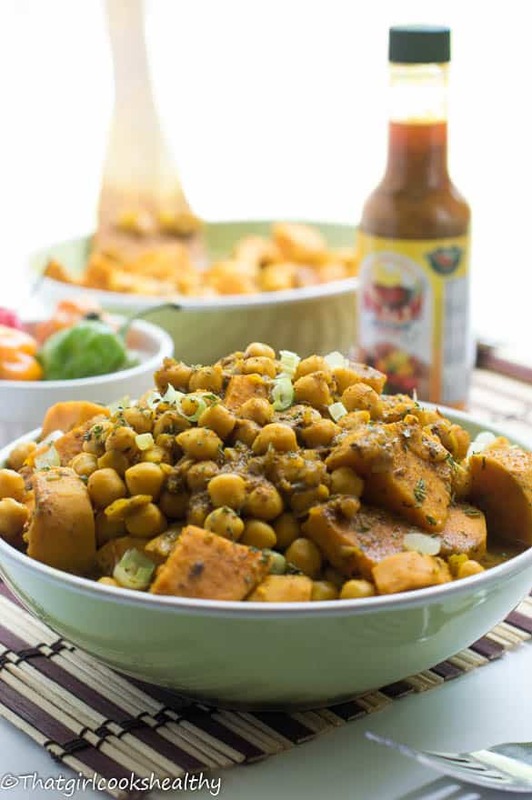 Channa and aloo – Trinidadian’s sure do love their channa and aloo which simply translates to chickpeas and potatoes. Although white potatoes are favoured my recipe is a replica of this one pot Trini dish using sweet potatoes instead which is more suitable for diabetics. Again this dish that can be portioned accordingly and frozen. I’m always looking for solutions to have quick and easy meals on hand 🙂 These all sound so good, I don’t know where to start! You r so right! Freezer meals are truly a lifesaver! These recipes look yummy! I plan to try a few!